This Is NOT a False Alarm ~ Our Horses NEED Us NOW. URGENTLY CALLING UPON ALL HORSE ADVOCATES!! PLEASE COME TO THE OKLAHOMA CITY PRESS CONFERENCE AND RALLY MARCH 4TH 2013, DURING THE BLM ADVISORY BOARD MEETING. WE NEED EVERY SINGLE HORSE ADVOCATE THERE!! THE OKLAHOMA HOUSE AND SENATE JUST PASSED THE LEGALIZATION OF HORSE SLAUGHTER BILLS HB 1999, AND SB 375 TODAY. THE BILLS WILL NOW GO BACK TO COMMITTEE AND COME BACK TO THE FLOORS. IT WILL TAKE A MIRACLE TO STOP THESE BILLS FROM GOING THROUGH. WITH BOTH THE BLM AND HORSE SLAUGHTER ISSUES GETTING OUT OF HAND MORE THAN EVER, NOW IS THE MOST IMPORTANT TIME FOR US HORSE ADVOCATES TO STAND STRONG AND COME TOGETHER IN OKLAHOMA CITY ON MARCH 4TH AT THE BLM ADVISORY BOARD MEETING!! WHERE: SHERATON OKLAHOMA CITY, ONE NORTH BROADWAY, OKLAHOMA CITY. THE BLM ADVISORY BOARD MEETING COMMENT PERIOD IS ALSO VERY IMPORTANT FOR ALL HORSE ADVOCATES TO DELIVER THEIR COMMENTS, IT STARTS AT 3.30 PM ON MONDAY. PLEASE BREAK OUT YOUR RAINY DAY FUNDS, TAKE YOUR DAYS OFF OF WORK, GET A BABY SITTER AND PET SITTER, WITH THE ADVISORY BOARD STACKED AGAINST OUR WILD ONES AND OKLAHOMA LIKELY TO BE THE FIRST STATE TO WELCOME HORSE SLAUGHTER PLANTS, NOW IS THE TIME TO BE THERE FOR OUR HORSES IN OKLAHOMA CITY!! NEEDED: SOME HORSE ADVOCATES FOR ASSISTANCE WITH THE PRESS CONFERENCE, PLEASE TEXT SIMONE AT 928 925 7212. 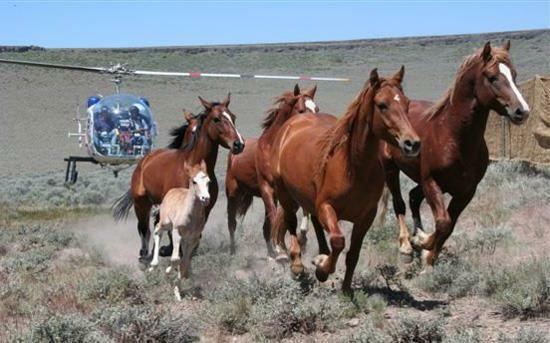 Posted on February 21, 2013, in Animal Rights and tagged BLM, HORSE SLAUGHTER BILL HB 1999, HORSE SLAUGHTER BILL SB 375, Horse Slaughter in Oklahoma, Wild Horses. Bookmark the permalink. 5 Comments. Ah, RapidJet, do you know that since the domestic plants closed, we have continued to send just as many – if nor more – horses to slaughter than we did when the plants were open? Guess not. You don’t have a freaking CLUE how horses have fared. I’ll bet you’ve never even seen a horse close up and if you did you’d probably be scared of him. Horse slaughter and transport to slaughter is cruel beyond belief, and, since our horses are not regulated like food animals, we use veterinary medications and over-the-counter products as well that contain substances that are strictly banned for ANY use in ANY food producing animal for ANY reason at anytime during their lives. Any use and that animal must be kept out of the human food chain permanently. This meat is being sent to Europe and people are eating meat that is contaminated by substances that can be very dangerous to humans, especially children. Educate your self before you run your mouth on a subject you obviously don’t know a thing about. Well said, Suzanne. This is why it’s imperative to get the TRUE story out, so maybe people will wake up to the horror of horse slaughter! me with the expert bartenders in Europe who took fantastic pride in their perform. performed himself. I wish Mark each of the very best in his retirement.